We understand that making an appointment for counseling is difficult. Even the first step to pick up the phone to call us takes courage. So, thank you for calling. When you call, one of our team members will answer the phone. If by chance you receive our voice mail, please leave a message and we will call you back promptly. Once we connect with you, we will ask for some information. Questions may include: How can we help? How soon would you like to come in? What is your availability for an appointment time? We ask these questions to ensure your success by matching you with the therapist who will be best able to meet your needs and preferences. Also, we understand that making this type of phone call can be a difficult step, so we will do our best to guide you through the process. Cost of therapy varies by individual therapists in our office. A regular session is 50 minutes long and costs range (depending on therapist) from $90 to $395 per session. Initial appointments, which typically run longer than a regular session, will cost slightly more than a regular session. In addition we offer multiple hour sessions which will be charged on a per hour (50 minute) basis. At Dr. Quintal & Associates, we are interested in accommodating your busy schedule. We offer days, evening, weekends, half day and full day appointments to best meet your needs. HOW DO I PAY FOR MY COUNSELING? We accept Visa, MasterCard, Discover, American Express, personal checks and cash. Payment is required at time of service. WILL MY INSURANCE COVER THE COSTS OF COUNSELING? Most insurance companies do pay for counseling. We are “in network” providers for BC/BS, Medicare, WebTPA, and Manatee County and are approved “out of network” providers for many other insurance companies. If needed, we are happy to provide you any necessary paperwork and receipt of payment to make reimbursement from your insurance company to you as easy as possible. We recommend that prior to your first visit with us you call your insurance company to find out what your benefits are for counseling. You may do this by calling the customer service phone number listed on your insurance card. WHAT SHOULD I EXPECT AT MY FIRST APPOINTMENT? HOW LONG IS IT? The first appointment is what we like to call an “Ice Breaker” visit. The first session typically lasts 60-90 minutes. Because we have never met before, this appointment is for us to get to know each other. You can expect that we will want to know the basis of what brought you to Dr. Quintal and Associates and how we can best assist you. WHAT SHOULD I EXPECT DURING THE COUNSELING PROCESS? Psychotherapy is not easily described in general statements. It varies depending on the personality of the therapist, the client and the particular concerns that the client brings. There are a number of different approaches that can be utilized to ensure your success. 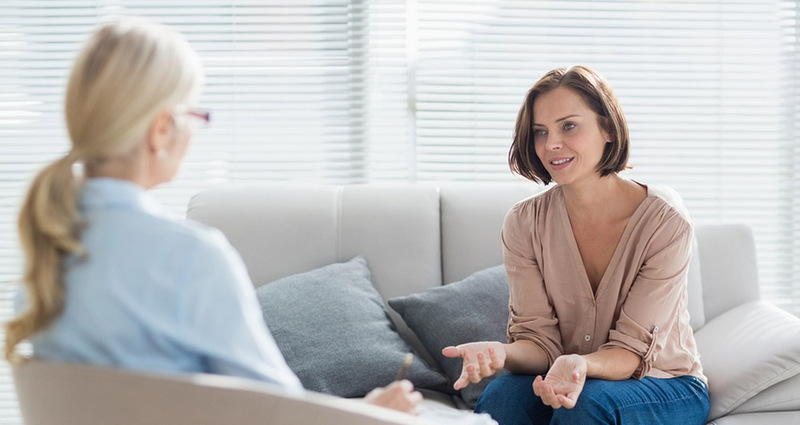 Like visiting a medical doctor, psychotherapy requires that you play an active role, and in order to be most successful, you should work on things that you and the therapist talk about both during the session and at home. At Dr. Quintal & Associates, we are effect driven and we are interested in you feeling better. Psychotherapy can be quick and has been shown to have long lasting benefits for people who seek it. A concern of some individuals is that a friend, coworker, or a family member will find out that they are seeking therapy. We assure you that your visits to Dr. Quintal and Associates are completely confidential. Also, the Health Insurance Portability Accountability Act of 1996 (HIPAA) protects you against any unauthorized uses and disclosures of your protected health information. Every individual is different, as are their issues, needs and preference of treatment type. The counseling process is completely up to you. If Trauma Resolution Treatment is suited for you, many people feel significant beneficial changes after the first session. Traditional counseling may take more time. It generally involves a minimum of 4-6 sessions and sometimes more. Again, results and treatment type will depend on the individual and their needs. We will customize your program, matching you with a therapist specifically trained for your individual needs to ensure your success in the shortest time possible. Your appointment has been reserved especially for you. It is important that you provide 48 hours notice of cancellation so that we may offer your appointment time to someone else. Missed appointments or late cancellations will be billed to you. WHAT IF I WANT TO SEE YOU ALONE, BUT I ALSO NEED HELP TALKING TO A FAMILY MEMBER (PARTNER, SPOUSE, PARENT, CHILD, OR….)? After a few sessions, we can decide if it would be helpful for you to bring a family member (or the whole family) into one or more sessions. That decision will depend on your particular situation and if we agree that this would be an appropriate, important and effective part of your therapy. An option might be to refer your family member to another therapist on our team, while we continue working individually. It will be a decision reached by you and your therapist and one that you are most comfortable with. I HAVE SMALL CHILDREN, ARE THEY ALLOWED TO COME WITH ME TO MY COUNSELING SESSION? MAY I LEAVE THEM IN THE WAITING ROOM? Due to liability issues, we can not allow you to leave any child under the age of 13 unattended in our waiting room.